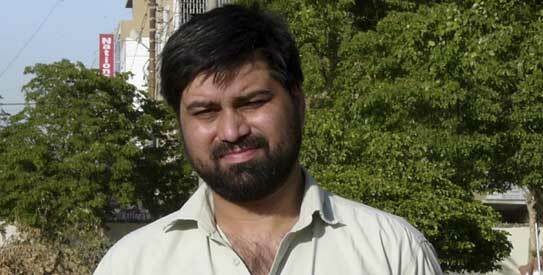 Syed Saleem Shahzad, a prominent Pakistani investigative journalist renowned for his incisive reporting of war and militancy and author of a book on militancy in the country, was abducted in broad daylight from the heart of federal capital Islamabad on May 29, 2011. His abduction and subsequent brutal murder left many in Pakistan in a state of shock – not just his family and the community of 18,000 journalists in the country but also the public at large. Many were alarmed since the net of suspicion was cast, amongst others, on some institutions of the Pakistani State itself. The alarm soon turned into outrage, manifesting itself in the form of protests all over the country. The government responded by establishing an Inquiry Commission to determine who was behind the killing. The Commission came out with a report with some recommendations on reforming the intelligence and security apparatus but no clue as to who was behind Shahzad’s murder. Three years down the road as 2014 gives way to 2015 little has changed. Neither have Shahzad’s killers been identified and punished nor have the Commission’s recommendations been implemented. In the meanwhile, such is the level of impunity over 30 more journalists have been killed without their killers been found or punished either. Freedom Network [FN], Pakistan’s first watchdog on media rights, to mark the first UN International Day to End Impunity for Crimes against Journalists on November 2, 2014, spoke to Saleem Shahzad’s brother-in-law Hamza Ameer, who himself is a journalist to know any progress made so far about the murder of Saleem Shehzad. This is the first interview by a family member shedding light on the fruitless pursuit of justice by the deceased’s family and how life has been without him for them. FN: How do you and Mr Shahzad’s family feel about not getting justice more than three years after his murder? Hamza Amir: Back when this incident happened, it became a major media issue – Pakistani media was raising its voice, they started sit-ins by protesting journalists everywhere, everyone demanded justice. But now, one and a half year after the inquiry commission report came out, there is a deafening silence. Maybe it has become old news for our media. For us the only new thing is that after the passage of a year whenever a new SHO [station house officer] comes in [at the police station] he calls me up and asks for any new information that might help him solve the [still pending] case and says there is no progress on the case. Our family does not have any hope for getting justice. FN: But are you satisfied with the working of and the end result of the Saleem Shahzad Inquiry Commission? Hamza: Not at all. We had raised an objection back then too that this commission was incompetent. The commission was not powerful enough to properly probe all the factors raised during the investigations. It was asking us all the time to name suspects without evidence, though it was their job. We didn’t have any hope from it. The only hope we had was that when the commission would come out with its findings and recommendations that the same media, which stood with us initially, would again pick it up. But this never happened. Today Saleem Shahzad’s name comes up sometimes in international media but rarely in Pakistan. FN: Were the Inquiry Commission’s terms of reference ill-defined or did it itself not want to do its job? Hamza: They only did what was easy. They too recorded the family’s statements. They spoke to some journalists and took their statements. They invited me at least 10 times. But there was an issue raised about [the suspected involvement of] the intelligence agencies – they themselves wrote in the report that they could not investigate them [even though] several journalists had hinted [at the alleged involvement]. This was an important factor that should have been thoroughly investigated. We never said that they are involved but it was an important factor warranting investigation. FN: Reading the Inquiry Commission report, it says at one place: “The work-culture of the Agencies may also need some change if oversight of any sort upon them, internal, parliamentary or judicial, is to be meaningful. In this regard, the proposed statute may require them to adopt by-laws which mandate their operatives to follow internationally recognized Standard Operating Procedures.” Do you think anything in this regard has changed? Hamza: Many [over 30 journalists, according to Freedom Network data] have been killed in Pakistan after Saleem Shahzad was killed for his journalism work. The killers of none of these have been found and punished. What do you make of this? It appears that no one gets any justice. I’m myself a journalist. FN: Don’t you think the accused agencies should have helped in the probe by actually going after the killers of Saleem Shahzad and bringing them to justice? They are themselves the investigating agencies and could have cleared their name too by getting to the bottom of this case if they were not involved? Hamza: Yes exactly. Whenever an agency is named it always conducts an internal inquiry. In Saleem Shahzad’s case too, they issued several press releases clarifying that they don’t have anything to do with [the abduction and murder]. The political parties that are in government now were in opposition at that time. They all came to our house in Karachi and assured us of all out support. But now in government for over year and a half they have done nothing. They had promised to close cells which monitor journalists. But that has not been done either. These commissions can’t even ask agencies a question. I had been telling them to investigate how Saleem Shahzad’s car with a full tank was parked where it was found [over 300km from where he was abducted]. My assertion was that it was not driven there it was brought there. The commission did not investigate this. FN: Would the setting up of a Special Prosecutor’s office in Pakistan dedicated to investigating cases of attacks against media practitioners help in reducing violence against journalists in the country? Is this a good idea? Hamza: The ‘Special Prosecutor’s Office’ is being talked about at international level. At this level journalists have insurance cover [to cover risks]. They don’t let journalists go to conflict areas without [risk coverage]. Do we do it here in Pakistan? They work on minimum salaries. If we want [safety of journalists] we will have to do something concrete on our own. Journalists’ bodies were given some money from special fund by the government and you can see their silence afterwards. FN: Did you have any other legal means to secure justice other than the Inquiry Commission? Hamza: Even the commission was never a hope. The loss that we suffered can never be overcome. Saleem Shahzad had three children – two sons and one daughter. The youngest son is a special child. His treatment and the rest of the family welfare were being looked after by Saleem. That vacuum can never be filled again. My sister says even if you bring the killer of her husband in front of her she won’t be able to do much except maybe hit him a few times. FN: Do you think finding and bringing the culprit(s) to court would have constituted some solace? Hamza: We are asked to approach the International Court of Justice but for that we needed the help of the media. We can’t go as a single family. If we had done that then there could have been no difference between us and Karim Khan [a Pakistani victim of American drones in Tribal Areas]. We received a lot of offers internationally but we didn’t wish to do it since it could have meant different things to different people. Some would have started saying it was because of US or international pressure to serve some other agendas. Saleem Shahzad was a war and conflict expert and used to write critically. Wherever you go ultimately they would have asked the Pakistan government to internally investigate. FN: You can’t put a price on a human life, but is Saleem Shahzad’s family getting any financial help from the federal or provincial governments? Hamza: The Pakistan People’s Party government at that time gave us Rs3 million [about US$30,000] in compensation. The widow was offered a government job but she couldn’t do it because the children were too small. There was an offer to admit the children in government schools, but we did not opt for it. The least they could have done was to un-freeze his bank accounts and assets. We now have privately hired a lawyer to make his succession certificate. It still hasn’t happened after all this while. FN: You talked about Saleem Shahzad’s children. Tell me something about them, how are they faring? Hamza: You know his children have only come once to Islamabad after the martyrdom of their father. First six to eight months were very hard for us all. His eldest son is now doing his A Levels. The daughter is now 16 and the younger son 12 who attends a special school. Family welfare is a major issue for us. We have been asked for official status of “martyr” for him since he died in the line of duty. We just want him to be honored by the State, even if the attached benefits are not given to them. We have not been obliged. FN: November 2 has now been declared by the UN as the International Day to End Impunity for Crimes against Journalists. Do you have any message on this special day? Hamza: We should raise the issue of risk coverage for our journalists urgently and make it mandatory. We live in a conflict-wracked country and our journalists are at grave risk reporting these conflicts. We need to ensure the welfare of journalists and their families and insure them against the kind of risks Saleem Shahzad faced and suffered.